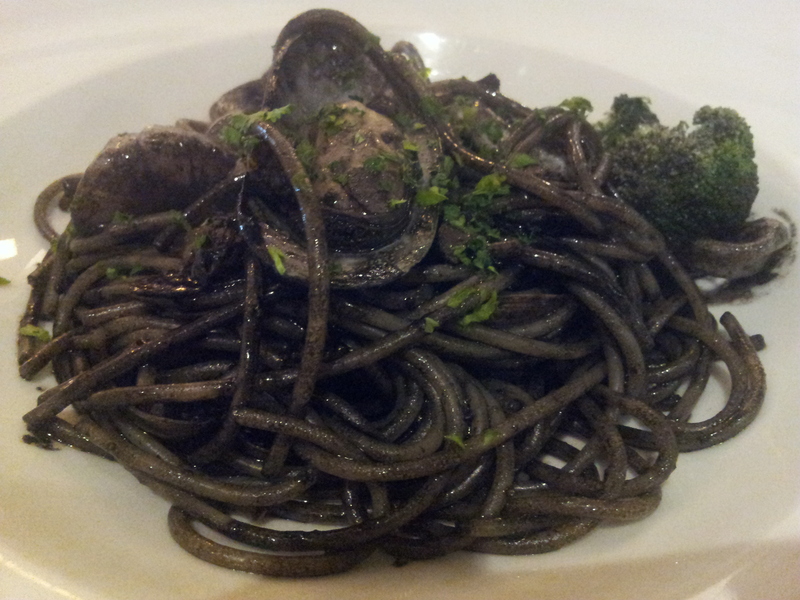 Pasta Inc has a simple nice uncrowded ambience and feel of a fine dining restaurant. It is at Kiong Siak Street, in a locale dotted with the more expensive restaurants like Ember, Nicolas le & Bistro Soori. I only came to Pasta Inc once and that was more than a year ago when a few of us bought the S$38 4-course lunch set coupons. Somehow that experience did not leave any impression ie not some place I was wanting to go back soon. 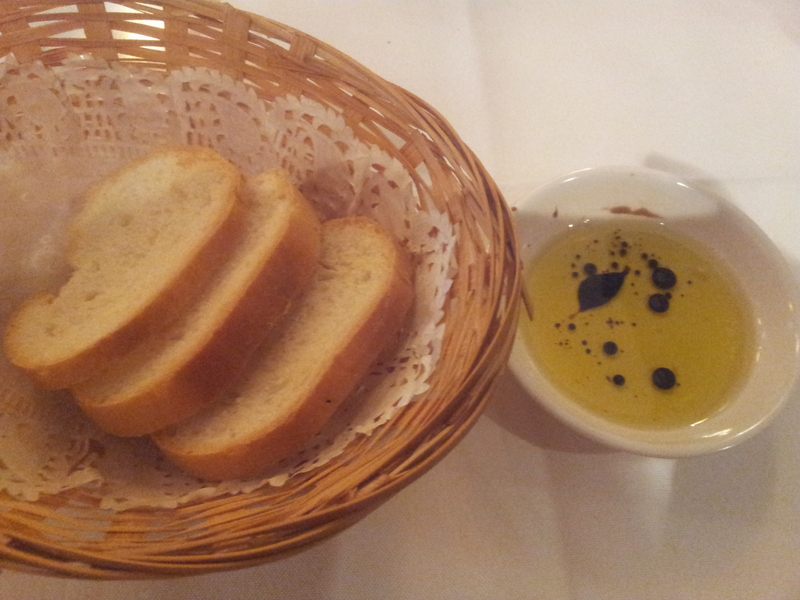 We had toasted bread which was warm & crispy to start. 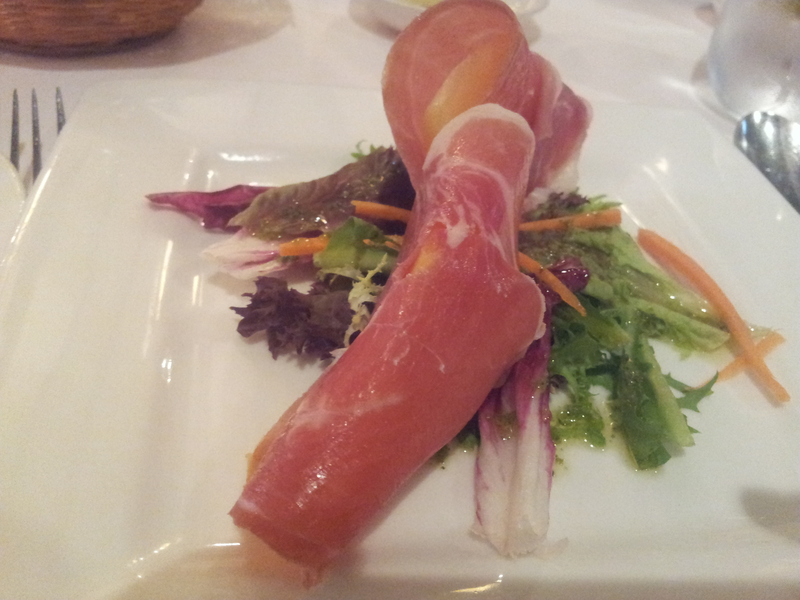 For appetizer I took the prosciutto, which came with a decent helping of 2 slices of parma ham wrapped over rock melon (rather nice to eat them together) with mesclun salad. 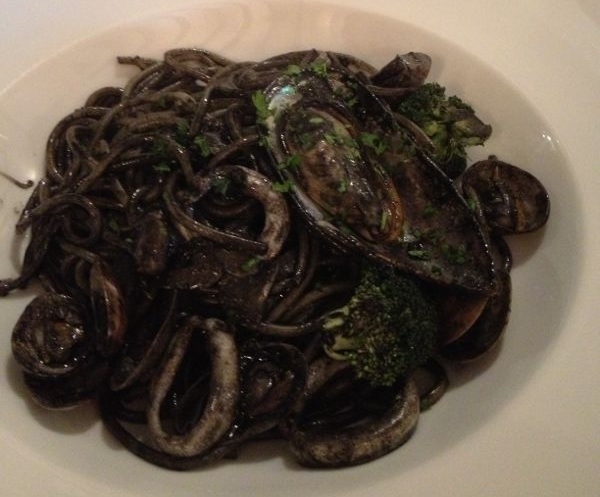 We both decided on the seafood spaghetti in squid ink sauce, and it was good here. The pasta was very al dente. It was less salty than many other places. The ingredients were good – scallop, several squid rings, mussel & littleneck clams, no prawns. 🙂 It was a pasta dish that I much enjoyed. Being fast eaters, we finished in 35minutes or so, and chatted for another 25minutes. I drank lots of water & had many refills by Alvin. Great lunch! 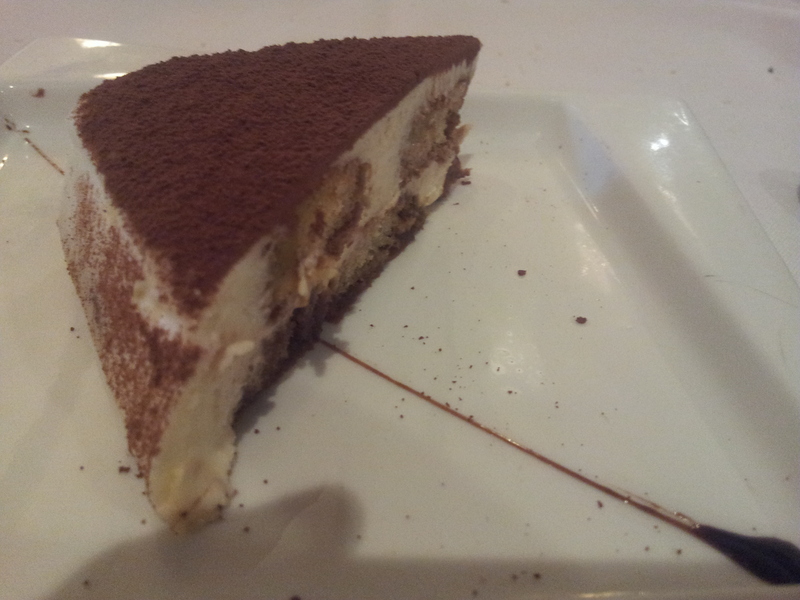 This entry was posted in Buon Appetito! 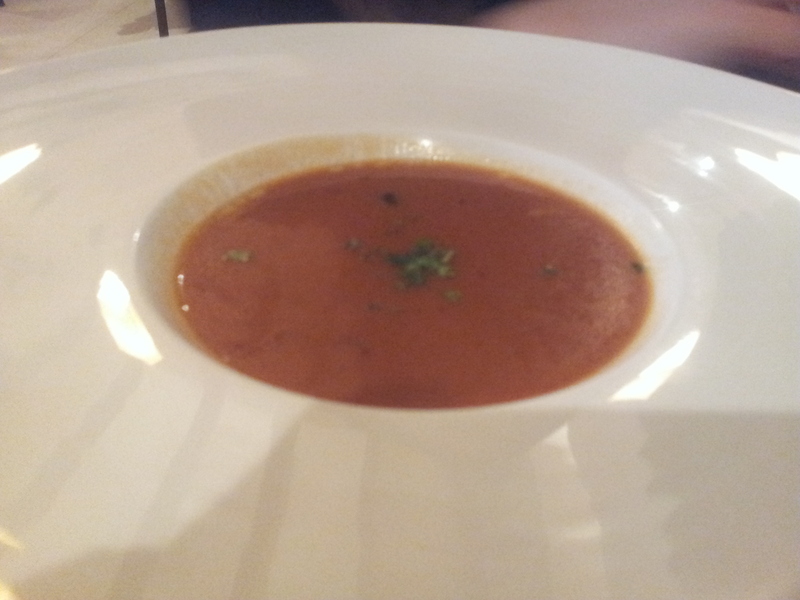 and tagged Bigdeal, kiong siak, lobster bisque, lunch set, pasta, prosciutto. parma ham, squid ink, tiramisu. Bookmark the permalink.